Today we document our lives in thousands of digital images and store them in a “cloud.” Like the wonder of the telegraph in the 1800s, we send words, billions every second, via a void called the Internet and instruments cleverly branded Android and iPhone. But the brain is the most beautiful mystery. Streaming images run in and out of our heads, faster than the race wrought by digital engineers. Images of Dad flow through my mind. A bevy of pics and the 350-word limit of a blog post cannot keep up. One image appears repeatedly: his hands. Pulling on worn overalls and snapping the suspenders. Milking the cow at sunrise. Hauling sheaves of wheat and husked corn to Jim Dean’s mill, where a paddlewheel steadily lapped up a sliver of creek so ancient stones could grind out flour. Preparing cornbread (unsweetened, thank you) and keeping watch over an iron skillet as it browned in a wood-burning stove, committing to memory his mother’s recipe handed down over generations. Clutching a college catalog and crying to sleep because there was no money to supplement a partial scholarship. Thumbing from Appalachia down to Atlanta for a job as an office boy and waiting for his 17th birthday so he could enlist. Pulling the wounded and dead off Utah beach. 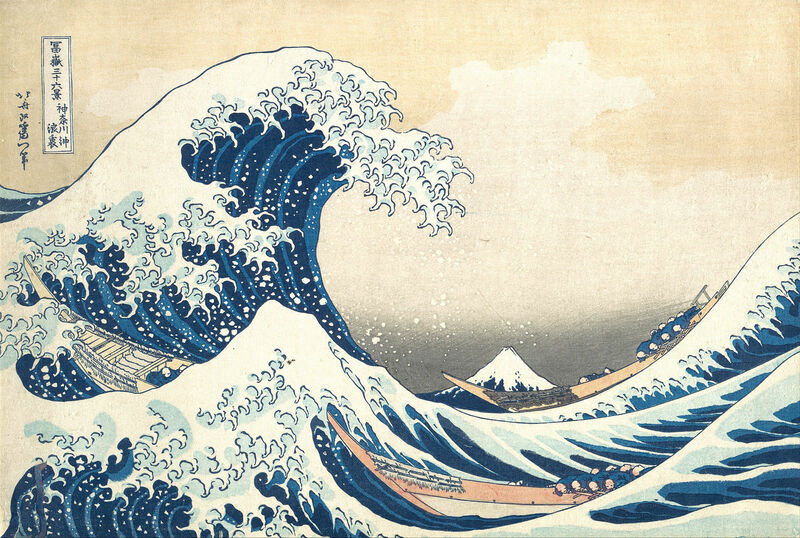 Looking up at the sky as a typhoon’s 30-foot waves curled over his LST or dreading the next wave of kamikazes. Mixing chemical recipes in a lab and awakening to the miracle of science. Painting dorm rooms and supervising a frat house kitchen to bolster his GI Bill education. Exchanging love letters with my next-door college-coed mother—on scraps of paper pinned to a clothesline rigged between their bedroom windows. Putting his head next to Mom’s as they turned the pages of histology textbooks. Signing into a cheap motel on their first honeymoon night—with telltale wedding rice falling from his thick, black hair as my mother laughed. Enduring 100-hour work weeks during his internship and residency—and loving the touch of life-giving moments. Treating any patient of any color ever since his first days at Atlanta’s Grady Hospital in the early 1950s. Hitting the backyard brick steps with a “Humph,” signaling his return home to fork down fast bites of supper (“inhaling” his food, as Mom phrased it). Greeting each of us after work with a lift over his shoulder and a slide down his back as we giggled in delight. Flash-cleaning and frying just caught fish on camping trips, at the lake, and in the kitchen of a rambling beach house at solitary Four Mile Village in Florida. Yanking the bow of my straw sunbonnet to rouse me from a sunrise doze just as my fishing pole almost slipped out of my hands (fisher king and failed fisher girl). Pacing the dock, with five fishing rods lined at the edge, to reel in a catfish feast (he tossed them backwards over his shoulder into a homemade holding tank—a hole sawed into the boards, with an underwater “cage”). Frying cornmeal-battered hush puppies—golden, crisp, and light. Furtively building my Christmas dollhouse in the basement and carefully measuring the height of the doorways to fit my Barbies (Santa Claus was a genius carpenter). Drying sage on the pool table, lending special flavor and aroma to Thanksgiving dinner. Plowing his suburban “back 40” so we could savor “real” vegetables year-round. Stirring up skillet after skillet of golden-brown peanut brittle and packing it in gaily ribboned split-oak baskets, along with homemade jams and pepper jelly—gifts for neighbors, patients, and preachers. Making hog’s head cheese in the laundry room while my boy friend stared in shock. Writing a rare letter, telling me to choose my major and career, indeed life, with no need for his approval. Signing check after check to ease my way through college and sending me to Europe to study long before he set foot on the Continent (excluding a few feet of Normandy). Grabbing the wheel of a rented Passat, manhandling the Paris Périphérique, and then gunning 145 kilometers on the open road while my mother crawled into the backseat and never crawled out (he hid years of speeding tickets from her). 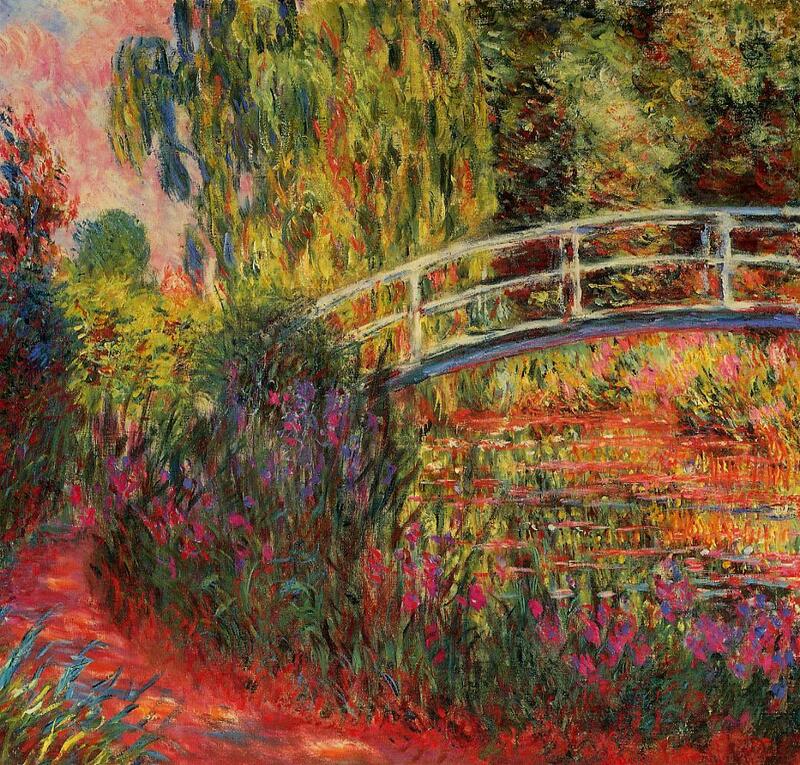 Grasping the railing of Monet’s Japanese bridge at Giverny and wistfully reminiscing about the only art history class permitted in his crowded undergraduate schedule (the museum guards finally threw him out at dusk). Stashing my first essays in the top drawer of his office desk and passing them on to anyone patient enough to read (a major morale boost at age 24). Writing his own eloquent essays and reading them aloud for a test run. Penning the grueling medical details of the Crucifixion for a Sunday school class. Hanging a watercolor inscribed with 1 Corinthians 13:1–13 on the wall opposite his desk—a gift from a cancer patient and the theme of his practice. Clasping the hands of families and praying before an operation. Freely treating country folk, with medicines and syringes mixed among the hooks and lures in his tackle box. Bathing and shaving my mother’s uncle after his stroke. Loving every relative and in-law, down to every cousin six times removed. Vacuuming and dusting the night before my mother’s parties and luncheons—without being asked—and creating charming arrangements of zinnias that bordered his garden. Beating a broom handle into a broken garbage disposer until 2:00 a.m. on New Year’s Day (I never could figure out that fix-it trick). Installing four revolving fans in the bedrooms at 10:00 p.m.—drilling just as everyone was going to bed (they always spun wobbly). Hauling home a Roto-Rooter to repair a stopped-up toilet at 10:00 p.m. (rousting us out of bed to hold long hoses in a drizzle). Crooning to his grandbabies—in deep monotone—the ballads that never left his North Georgia soul and later cherishing the first great-grand. Keeping close to my mother when Alzheimer’s stole her mind and voice but never her loving spirit. Holding my sister’s hand when her husband died. Living in a state of grace for 32,369 days. My dad’s hands flipped through the Bible many times as he searched for a verse or two to insert into one of his talks about life (he did not call them sermons). However, a seven-book series about the world’s great religions sat on a shelf in his study. His hands held those, too. Dad was a devoted Methodist and humanitarian. He never judged any righteous soul, whatever his or her faith. At the end of his life, Christ said, “Father, into your hands I commend my spirit.” A poignant sentence, yet I always return to what came out of Christ’s hands during his earthly lifetime. Healing. Encouragement. Strength. Love. And I remember what came out of my father’s hands. Oh Catherine, I am so, so, so sorry for your loss. This is just so beautiful. I am crying for the loss of a man that I just met. You and your family are in my heart…. That is a beautiful tribute to a man who obviously loved life completely and lived life to its fullest. May God comfort you during your time of grief. Thank you so much for this. What a wonderful man and an amazing portrait of the love a daughter can have for her father. My deepest condolences to you on your loss.. and the certainty that the love you shared with your Dad will always be with you. Catherine, I just read this again one year later and am even more moved by it, if that is possible. What a tribute, what a legacy, what a father, what a man. Cathy, I have loved reading your blogs about your parents. What a beautiful tribute to your father – your gift to him and us. What a man. My dad died in May. It is hard to let them go and to become fatherless. Love you! and please send my condolences to your family. Let’s talk in a few weeks. What a beautiful tribute to your Dad. 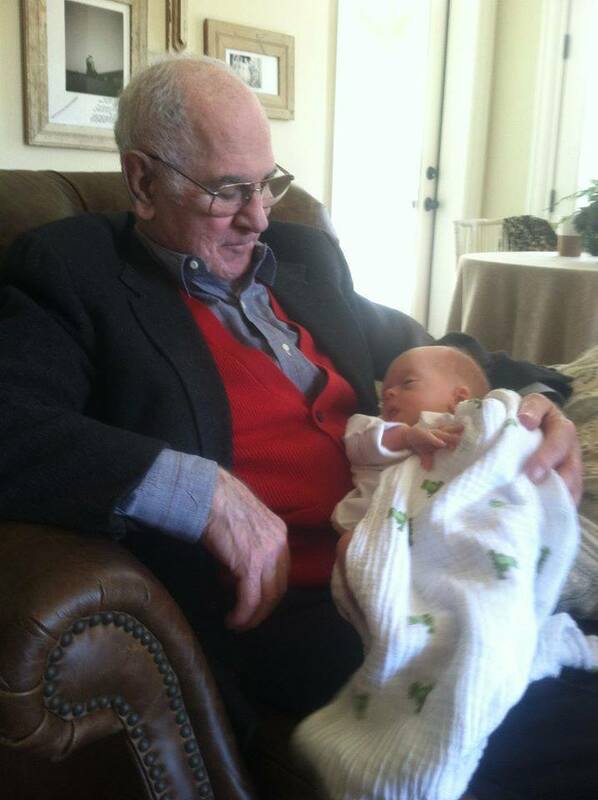 He lived an amazing life sharing his love of life to his family, patients and friends. I will keep you and your family in my prayers. Please tell Bud he is in my thoughts and prayers also. Deeply touched by your tribute to your father – what an amazing, talented, skilled, and compassionate man. May you find comfort in all the memories you have of him and the legacy he left behind…. This is extremely moving Catherine. May his soul rest in ever lasting peace. He’d be proud of you after reading this brilliant farewell. Cathy, I love reading your stories. They bring back such sweet memories of your mom and dad whom I loved dearly. My Christmas holiday will never be the same without Uncle Leon and our family get togethers. Over the years one by one they have left us. Their presence always felt. Their lives never forgotten. It is rare, Catherine, that a post will capture my attention and my heart the way this beautiful tribute to your dad has. Oh, what a wonderful man he clearly was and to be remembered and memorialized like this is just…I don’t have the words….so moving. Measuring the Barbies for your dollhouse…..what a father. Very sorry about your loss – what a beautiful tribute to your Father. Lovely to meet you on such a sad occasion. Kathy I am so sorry about Leon. He will be missed. We all loved him very much. I enjoyed reading the stories. I will be thinking of you and keep you in my prayers. May God bless and comfort you. Love you!! A wonderful tribute to your Father, Catherine! A truly beautiful tribute to a man I never knew but now totally appreciate and respect. Prayers for your family. Beautiful. Simple and huge and beautiful. This is so touching. Such vivid, original and personal stories and images. I’m sure you had a wonderful time writing it and being propelled back in time to each one. I think anyone who reads this would want to have known your dad. It was such an immediate experience. I woke up 5 minutes before he died. Time and space do not always divide. Thanks for reading. Yes, I had a dream that predicted my dad’s dying when he’d just had a checkup that pronounced him fit. It happened just as I dreamed..